There’s a Hamster in the Dashboard: A Life in Pets is available as an e-book and paperback at Amazon, Barnes & Noble, and your local independent bookstore. To win a copy of There’s a Hamster in the Dashboard please enter using the Rafflecopter form at the bottom of this post. The giveaway contest closes this Friday, July 17th at 12:00 AM EST. We will announce the winner the same day in the Rafflecopter widget. Good luck! Find more about David by visiting his website, www.davidwberner.com, connect with him on Facebook, and follow him on Twitter @DavidWBerner. WOW: First of all, thank you so much for touring with us again! I had so much fun with your last tour and I’m tickled pink you chose WOW again! Let’s get right to it David, who or what inspired you to write and how have you been instrumental in encouraging others? David: There have been and still are a lot of influential people, artists, and family. I read a good piece of writing—a book, a magazine article, even poetry—and I can get very inspired. Even hearing a great song or good lyrics. Art in all forms has inspired me to write. I’ve been at the Art Institute in Chicago and stood in front a great painting, and BAM, I am motivated to create. It’s really about the expression of emotions, and that can manifest in many ways. But if I had to pick one person, it would be my mother. She inspired me to be creative, to keep working in the creative world, and to write—to write anything—song lyrics, short stories, even take the time when you sign a birthday card to say something important, interesting, heart-felt. As for encouraging others…I teach college and I hope I can motivate my students to create inspiring work. But out of the classroom, I hope my books and my writing have found a way to inspire others to write. It sounds so cliché, but it’s true—everyone has a story. Keep a journal. Examine what’s in your heart, and most of all, learn the craft. And read people who inspire you. Good writing comes from good reading. WOW: I’m sure you’ve inspired countless numbers of people. I hope some of them have dropped you a note letting you know? If not, let me say…you’re a constant inspiration to me and I appreciate the nudge back to my journal! And speaking of inspiration, I know my writer and reader friends are quite inspirational. How do you feel about writer groups and book clubs? David: I’ve spoken and read at two book clubs. It was after the release of my first book, Accidental Lessons. The book clubs were in the Chicago area, the groups had chosen my book to read, and then I came to a meeting and they asked questions. It was loads of fun. I would hope that some book clubs would consider expanding their horizons a bit, though. I would like to see members challenge themselves to read something new or out of typical genres they might first choose. I belong to the Chicago Writers Association. I love this group. It has a wide range of writers with various experiences and working in an array of genres. And it’s a great network for all of us involved. They encourage and motivate and support. However, I am not real big on writer’s groups that critique each other’s works, especially for beginning writers. I think these can be debilitating for many. They can shut down creativity. Writers are highly emotional, close-to-the-nerves kind of people. One wrongly offered critique might destroy a beginning writer. And who’s to say the one critiquing even knows what they’re talking about. Everyone needs and wants constructive criticism, editing, and support. Even Hemingway did. But be careful whom you ask. Take your work to people you respect, not just to a random group of writers who may or may not know anything about your journey as a writer. WOW: Stepping out of our comfort zone…that’s great advice! I also appreciate what you said about choosing an audience of people you respect. Great advice! We are all pressed for time, and choosing the right audience can really help streamline things. How do you manage your time to make sure your writing doesn’t get neglected? Do you have any advice for those of us struggling with time management? David: It’s no secret. Writing doesn’t happen unless you write. You can’t create without the actual act of writing. Just like you can’t get into shape simply by thinking about it. You have to get on the treadmill, go to the gym, plan your meals. I write nearly every day. When my kids were growing up, I got up early, 4 or 5am, well before them, and wrote for an hour. I tried to stick to a relative plan, a schedule, like going to a job. There is no special solution to this. You have to find time—even if it’s just a half-hour sometime—and make that YOUR time. Tell your family, your friends, this is the time you write. Turn off the phone. Turn off the Internet. It doesn’t matter where you do it. I work a lot in coffee shops. Just steal away and get at the work. I wish I had a more innovative approach here. But it’s as simple as this: Make the time. Stick to it regularly. And make a goal. Three hundred words a day or 500 words a day. Whatever you find reasonable for the way you work. But knuckle down and do it. David: It’s usually the one I’m reading at the moment. There are SO many great writers. In a way I’m a traditionalist. I love Hemingway, especially his short stories. Jack Kerouac is a fan for his unbridled passion. I love Phillip Lopate and Abigail Thomas for their honesty. I love Dinty W. Moore for his insight. I’m currently reading Karl Ove Knausgaard’s My Struggle and it is brilliant. I’ve been told he’s my man crush these days. What he’s been doing with the four volumes of his memoir/novel is incredible, interesting, and groundbreaking. WOW: What about the first book you remember reading? Does anything in particular come to mind? David: Go Dog, Go! by P.D. Eastman. Still love that book! I can still quote it, too. It showed this little boy how great reading could be. How colorful and fascinating and warm a story could be. After that I remember The Adventures of Tom Sawyer. I’m sure there were others in between. WOW: When did you know you wanted to be a writer? Was there on particular or defining moment? David: I’ve always been a writer. My very first book was something I made in a 3rd grade classroom out of paper mache and watercolor paint. It was a class project. The book was entitled The Cyclops, a story inspired by watching Jacque Cousteau documentaries on television. I still have it. I wrote songs in my teens and early 20s. Still do a little of that today. But I started my career in radio, writing, reporting, and broadcasting, and I really began getting serious about writing then. Print journalism and books came later. But writing has always been a part of my life. I just don’t think I got any good at it until my later years. I’m still trying to get better. WOW: I imagine your parents were quite proud back then and still are. Who has been most supportive through your journey as a writer? David: I’ve had a lot of support—colleagues, professionals, family, and friends. It would be hard to name one person. There have been so many special people who have given me a boost now and then or an encouraging word. My readers are great, too. When someone I don’t know seeks me out to tell me they were taken or moved by something I wrote, that is just the best thing in the world. WOW: I’m sure that happens quite regularly these days. David W Berner is becoming quite a household name now. Congratulations! David: Glass of wine. I don’t really celebrate successes. I just keep moving on to the next project. WOW: That’s impressive; you are so driven! I dwell on everything, good and bad…and since that’s on the table now, let’s talk about rejection. How do you deal with it? David: Rejection is part of the process. I’ve been rejected a zillion times! Any Road Will Take You There, my second memoir received over 30 rejections from publishers. My agent at the time said they were all what she called, “good rejections.” That meant they liked the book but for whatever reason—marketing issues, other projects, timing, etc.—they couldn’t publish it. Remember—writing is an artistic endeavor and that means it’s quite subjective. Yes, there are parameters for good, insightful, meaningful writing, but one editor may hate your story and another may love it. My advice is to just keep sending out your material. Perfect it, perfect it some more, and keep putting it out there. Work at your craft, and send it out again. Publishing is not writing. Publishing is business. Sometimes what you write is just not what a publisher wants right now. But tomorrow, well, that’s another story. WOW: I’m glad you kept at it and partnered with Dream of Things and Mike O’Mary – I’m glad you had a chance to share your story! David: Marketing and promoting the new book—There’s a Hamster in the Dashboard: A Life in Pets. I also have a fiction manuscript—Night Radio—making the rounds that I’m hoping to get published. And I’m also working on a new memoir. The first draft is done, but there’s a lot of refining to do. Some of it needs plenty of work. But I like this process. The working title is October Song: The Journey of a Musical Soul. It’s about my long-standing love of music, performing, and writing songs as a young man and how our dreams as young a man manifest later in life. It was inspired when I was unexpectedly chosen as a finalist in a songwriting competition and had to perform it in front of an audience and judges decades after I last played in front of a crowd. It was exhilarating and terrifying. WOW: Songs and music are so much of life, and I can totally appreciate the exhilarating and terrifying comment! If you had to choose a song to go along with your book, what would it be and why? David: If you’re talking about There’s a Hamster in the Dashboard: A Life in Pets…maybe Led Zeppelin’s “Black Dog?” Patty Griffin’s “Wild Old Dog?” Jefferson Airplane’s “White Rabbit?” (Probably too many drug references in that one.) “Wild Horses” by The Rolling Stones? Maybe the Beatles’ “Rocky Raccoon” or “Everybody’s Got Something to Hide Except My Monkey?” Yes, that’s it! Why? Some say the song was about heroin. But Lennon said, no, it was about his love for Yoko and how people didn’t understand it. I think maybe our love for animals—our pets—is many times misunderstood, and I can relate to Lennon’s song in that way. Not to somehow compare his love for Yoko with the love for my Labrador, of course, but misunderstood love? Sure. That makes sense. WOW: Makes perfect sense – love your sense of humor! I could go on asking you questions all day, but here’s the last one. Let us into your process. What does it look like when you write? What do you need? WOW: What a great interview David; I can’t believe we have to wrap things up. I’m excited about your next project and hope to have you back again later this year or early next year. Until then, I hope our readers will follow the tour and learn more about you and There’s a Hamster in the Dashboard! "The Best Way to Submit Your Creative Nonfiction to small publications and literary journals" is today's hot topic at Choices. Stop by today to hear from guest post author David W Berner as he shares his thoughts with Madeline Sharples and her readers. You won't want to miss this insightful article and opportunity to learn more about Berner's latest book, There's a Hamster in the Dashboard: A Life in Pets. Today you're in for a special treat with a giveaway and guest post at Create Write Now. Win a copy of David W Berner's latest book There's a Hamster in the Dashboard: A Life in Pets and read his guest post titled "So, Your Life is Not That Interesting...Oh, yes it is! Now Write About it!" Jodi Webb reviews David W Berner's latest book There's a Hamster in the Dashboard: A Life in Pets at Building Bookshelves today! Don't miss this great blog stop! Today is a special treat with a review and giveaway at Hott Books! 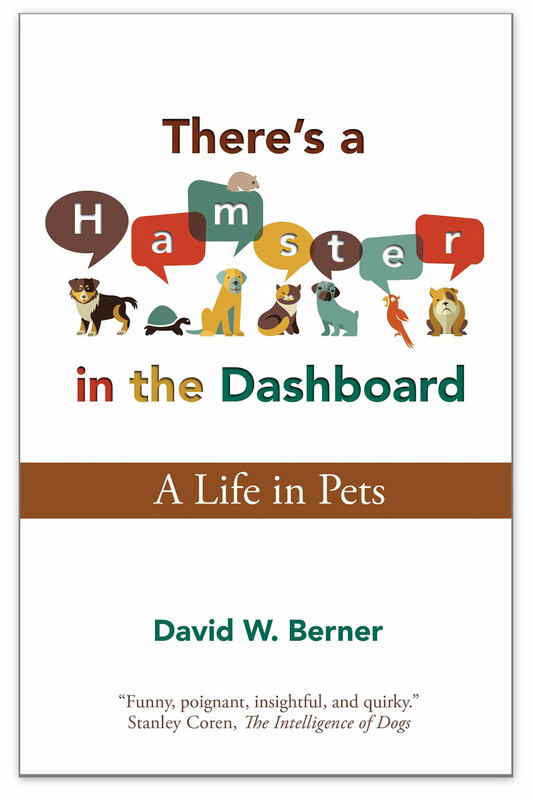 Head on over to find out more about (and possibly win a copy of) David W. Berner's latest book There's a Hamster in the Dashboard: A Life in Pets. David W Berner writes today's guest post at All Things Audry. Today's topic is" Mini-Memoirs: How to tell your story in fewer than 1000 words". Don't miss this fabulous blog stop and opportunity to learn more about Berner's latest book There's a Hamster in the Dashboard: A Life in Pets. "Tell True Stories, Not Sentimentalized Ones" is the hot topic today as David W Berner guest authors at I'd So Rather be Reading. Don't miss this opportunity to learn more about Berner and his latest book There's a Hamster in the Dashboard: A Life in Pets. David W Berner is today's guest author at Cathy C Hall's blog and the topic is " Staying Disciplined.,.. Write, Write, Write!". Read this great post and find out more about Berner's latest book There's a Hamster in the Dashboard: A Life in Pets. Jodi Webb interviews David W. Berner about his latest book There's a Hamster in the Dashboard: A Life in Pets. Educator and avid reader, Cathy Hansen reviews There's a Hamster in the Dashboard: A Life in Pets by David W Berner. Don't miss this insightful review as well as a giveaway for your chance to read this great book for yourself! Sioux reviews David W Berner's latest book There's a Hamster in the Dashboard: A Life in Pets. Join David W Berner as he writes today's guest blog post at the blog of Lisa Haselton. Today's topic is: "How the Story of Your Pet Can Tell Your Story." Learn more about this and Berner's latest book There's a Hamster in the Dashboard: A Life in Pets. 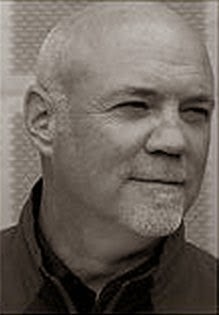 "Is Your Writing Space the Right Space" is today's topic as David W Berner writes the guest post at Cathy Stucker's Selling Books blog. Don't miss this great post and wonderful opportunity to learn more about Berner's latest book There's a Hamster in the Dashboard: A Life in Pets. MC Simon reviews the latest book by David W Berner There's a Hamster in the Dashboard: A Life in Pets and offers readers a giveaway of this fabulous collection of essays. Enter to win a copy of There’s a Hamster in the Dashboard: A Life in Pets by David W Berner! Just fill out the Rafflecopter form below. We will announce the winner in the Rafflecopter widget THIS Friday, July 17th! Great interview guys! David, I just hopped on over to Amazon and read the first story, The Intelligence of Dogs--what a riot! Your dad reminds me of mine, except he used to hold my dog's head and say "peabrain." ;) I'm adding your book to my TBR pile. Thanks for sharing and good luck on your tour! Very nice interview. I have the privilege of being the publisher of David's two most recent books, and I can tell you that he is producing some wonderful writing... thoughtful, humorous, insightful. It's interesting to hear more about the thought and approach behind his writing. Looking forward to the rest of the blog tour! This has been a wonderful ride with this book, and it just keeps going. I have such great support from Mike and friends and family. Crystal, you ask such great questions! Really got me thinking. Looking forward to moving along with the tour!